Approaching her 50th birthday in 2006, author Becca Rowan decided to explore her passage into mid-life through writing. She created a blog called Becca’s Byline, and soon connected with other women who were exploring questions about life, family, home, work, and pursuing their dreams. LIFE IN GENERAL is a collection of essays reflecting on experiences familiar to women in midlife: the empty nest, becoming a grandparent, long term marriage, caring for aging parents, downsizing a home, changes in the workplace, finding a passion for living. Readers will connect with these thoughtful, humorous, and inspiring pieces, and find new hope and ideas to make their own particular lives more fulfilling. Becca Rowan is a writer and creator of the blog Becca’s Byline. 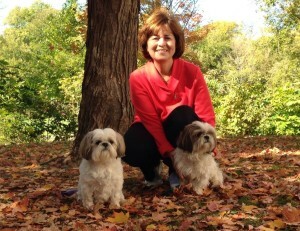 She is a senior editor at All Things Girl magazine where she writes about books, popular culture, and home life. She is also a musician, and performs as a pianist and as a member of Classical Bells, a professional handbell ensemble. 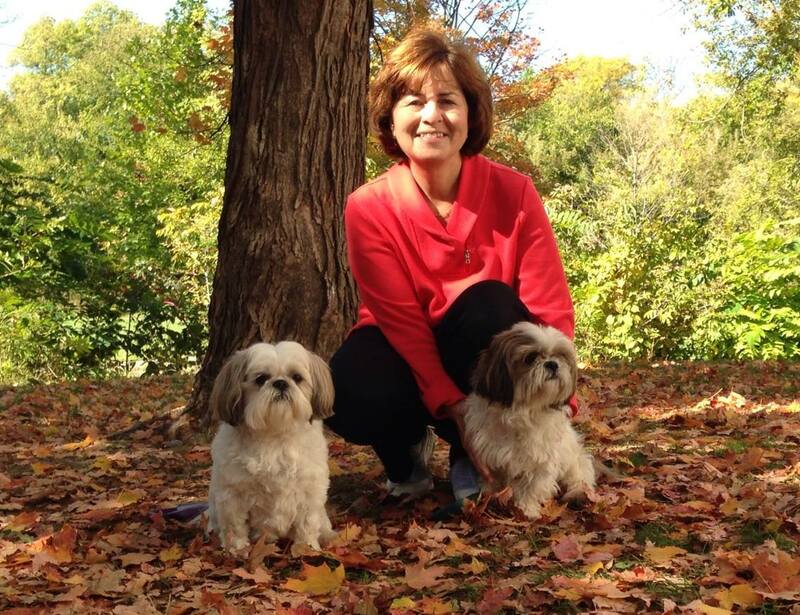 Born and raised in southeastern Michigan, she currently lives in Northville (a suburb of Detroit) with her husband of 38 years, and their two pampered Shih Tzus, Magic and Molly Mei. It’s not often that I get to review a book by someone I consider a friend, but Becca and I have been ‘blog buddies’ for years, and worked together at All Things Girl. Despite this, or maybe because of it, my review is an honest one, and, for the record, I paid for my copy of her book. 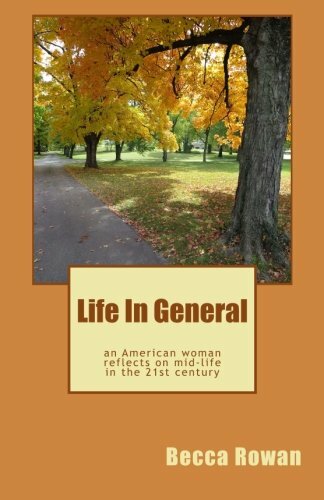 As a long-time reader of Becca’s blog, some of the material in Life in General, more correctly titled Life in General: an American woman reflects on midlife in the 21st century, was familiar to me, but her writing style – that of an old friend you’re meeting for coffee, or a favorite (and very young) aunt offering life-lessons – is so warm and engaging that even the familiar felt new, and the pieces I hadn’t read offered me wonderful insights into her personality and character. Becca Rowan’s Life in General is really good writing. Goes well with a pot of tea, a plate of buttery scones, a rainy day, and a dog or two to cuddle.